Are you remembered about the Titanic until now? Google and National Geographic want to celebrated the 100th anniversary of the Titanic - struck an iceberg in the North Atlantic Ocean and sank, along with three-quarters of the 2,200 passengers and the entire crew on board. It is very old history of the Titanic has remained with us through the decades. It has inspired everyone to read Titanic in the history books, newspaper, magazine and watch the movies and is memorialized around the world in museums and monuments. That is why we still know what is Titanic in this history. 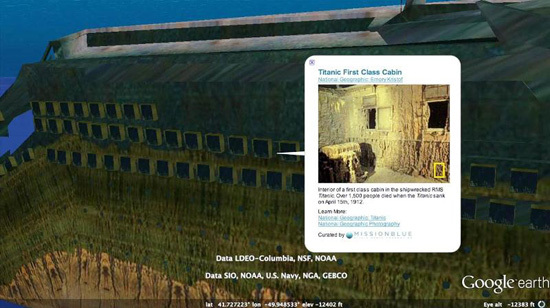 Google Earth allows you to explore the Titanic wreck at your home! 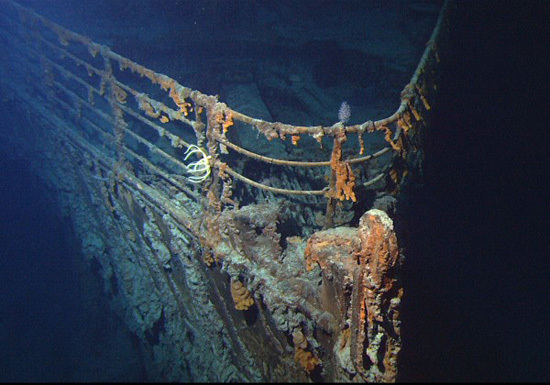 You will sank to explore old Titanic to the site of the wreck, 12484 feet below sea level! How to see the Google Earth? Simple to use so easy. Click on "Download Google Earth"
Installation completed in your computer or laptop. 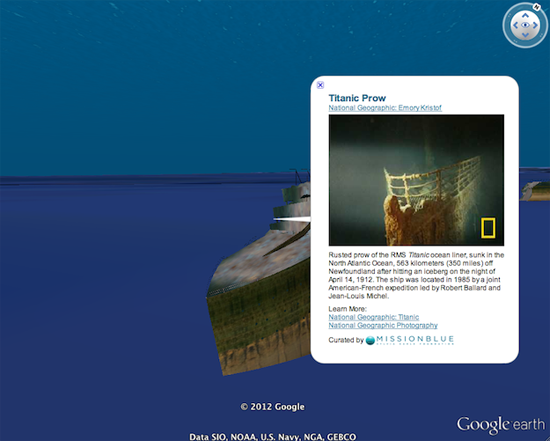 You can enter “Titanic” in the search box and travel to the tour there! 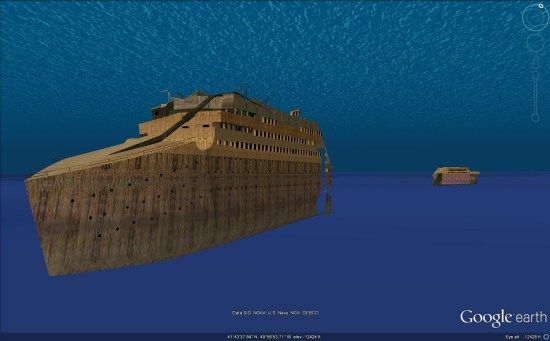 "Explore the Titanic shipwreck in Google Earth in partnership with National Geographic, the Institute for Exploration, the Center for Ocean Exploration at the University of Rhode Island and Jim Delgado at the National Oceanographic and Atmospheric Administration (NOAA)'s Office of Exploration and Research." - Google Earth's source.